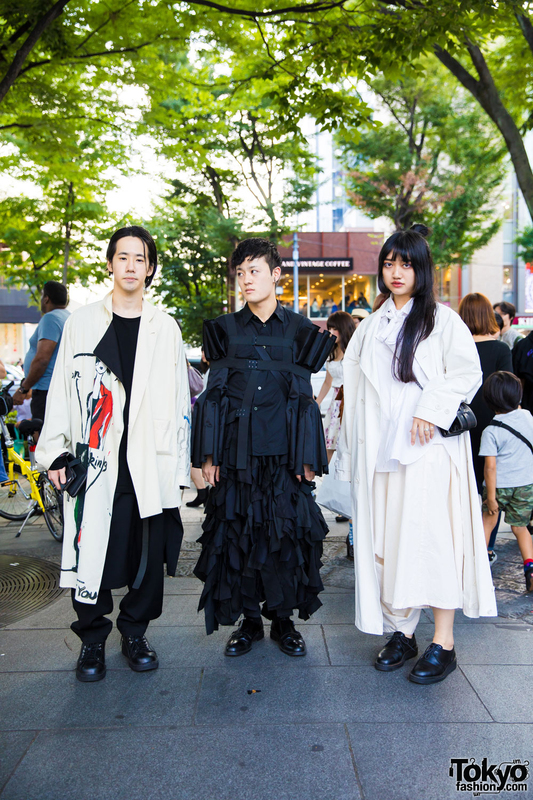 Harajuku duo in all black minimalist styles with long coats, dress, top and pants with side stripes, a red cape, sneakers, platform shoes, and see through clutch purse. Stylish Harajuku girl in monochrome minimalist fashion wearing sheer blouse, wide leg pants, rope belt, toe loop sandals, envelope bag, and silver jewelry. 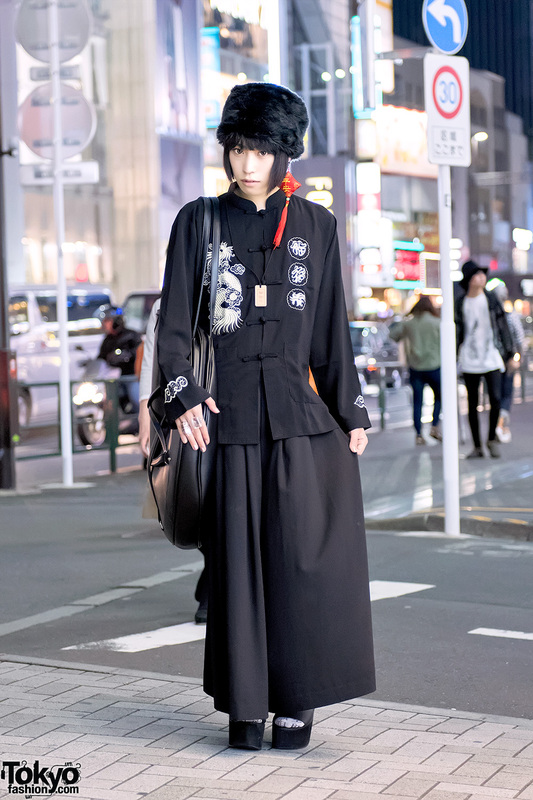 Japanese bassist wearing a kimono with a headband, skull heels, handbag, and a steampunk gears ring in Harajuku. 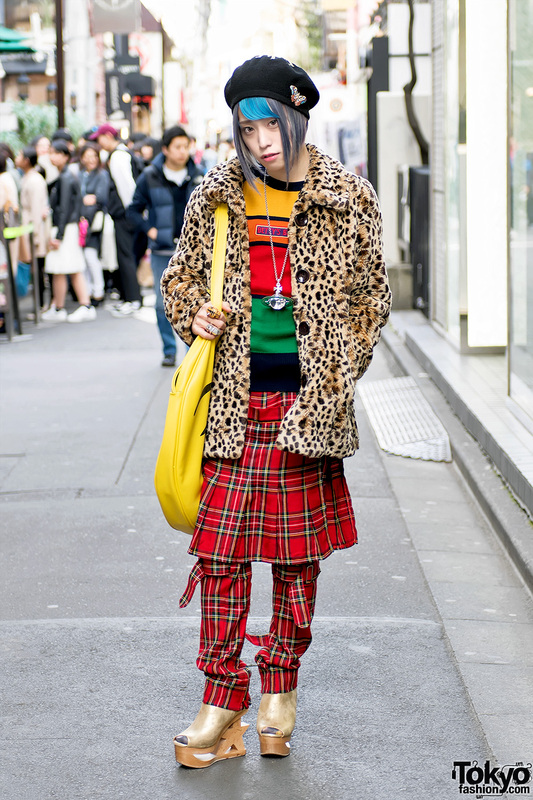 Harajuku IT professional wearing a leopard print coat with plaid punk pants, gold platform booties, and a giant emoji bag. 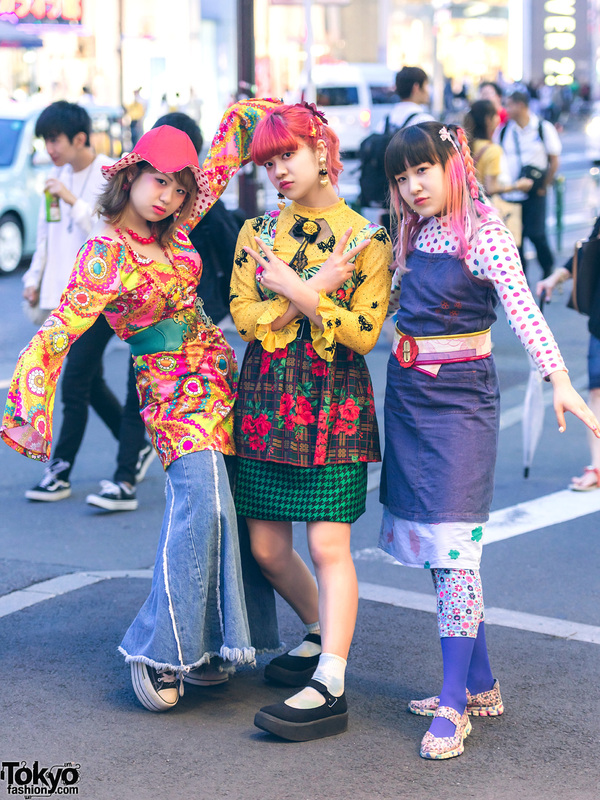 Harajuku girl wearing a cute street style with items from the Japanese brands Angelic Pretty, Milk, and Katie. 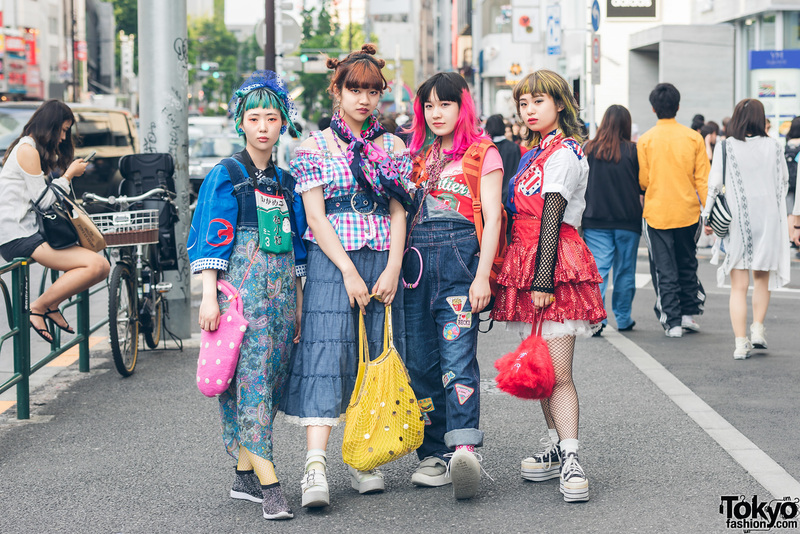 Dark Harajuku street style inspired by Chinese fashion along with streetwear items from Dolls Kill, UNIF, and accessories by the legendary Vivienne Westwood.